With 2017 coming to a close and 2018 in our sights, it’s time once again to make that list of new year’s resolutions. Each and every year, we sit down in late December and hammer out a list of things we hope to accomplish next year. While we all certainly have good intentions, studies show that most resolutions have come and gone by the time January ends. Some evidence of this would be going into a gym in early January, you can bet the place is packed. However, head back there in mid march and you can be certain the crowd has thinned out. 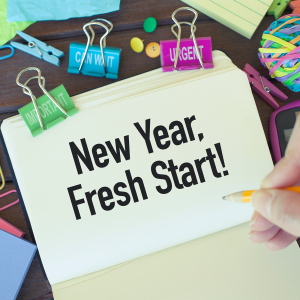 So that begs the question, why do so many people fail at keeping their resolutions? Do they reach too far? Maybe they set the bar too high? As we know with goals, they not only need to be measurable, but it helps when they are actually achievable. I may not be able to help you in every part of your life, but when it comes to personal finance we have your covered. Here are 3 financial resolutions for you to deploy in 2018. One of root causes of financial problems is lack of attention and accountability to ones finances. It is no longer acceptable not to know what your account balance is, what is your credit limit, and how much money you spend on a monthly basis. The first step to achieving any basic financial goal is awareness. Once you are more in tune with where your money flows every month, you can start to identify financial opportunities that will move you forward towards greater things. Yes, I know you have heard this 100 times but how many of you have actually done this? We all think we know what we spend money on, but the fact is without a budget there is no doubt you are wasting money each month. Outlining a budget will help you have a closer relationship with your money. The more we learn to respect money, the more responsible we will handle it. Make sure creating a budget is one of your new year’s resolutions. This is so simple, yet so important. Most financial problems originate from debt. It starts small, and the next thing you know your credit cards are maxed out and you can only afford the minimum interest payments. This starts the cycle of perpetual debt that is very hard to climb out of. Having a budget will help you avoid debt in the first place, but if you should find yourself in debt start by paying off the highest interest debt first. These are just a few quick tips to get you on the right track. For more info hit the link below to check out our Youtube Show! Happy Holidays and Happy New Year! For more info check out episode 52 of The #AskTheAdvisor Show!